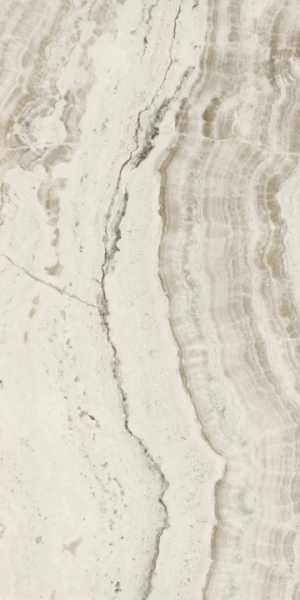 White Onyx Porcelain is a great imitation of WHITE (BIANCO) ONYX which represents a light translucent white background with varied hues, including natural markings in ivory white, earth and grey tones, forming a random pattern in a material that offers unparalleled natural beauty and strength to interior and exterior areas alike. 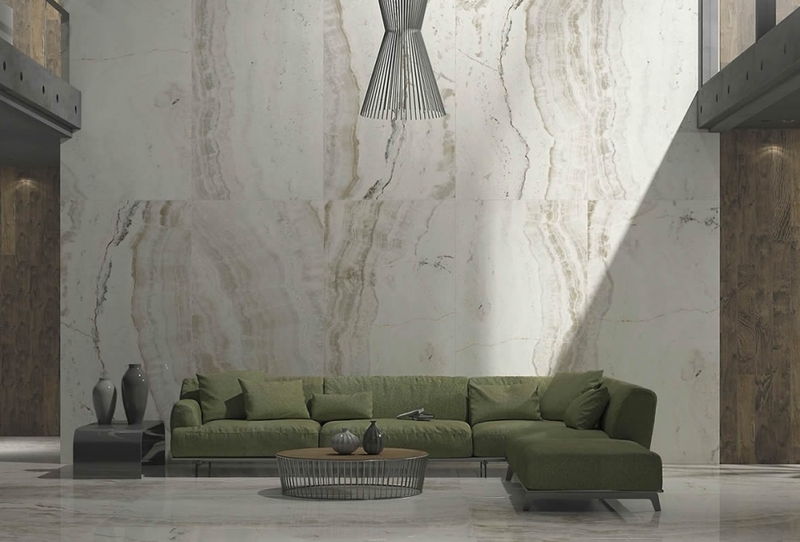 It also carries the feature of ONYX VELLUTO with straited bands of some light cream, taupe and light earth green, and color palette of ONYX BLACK CLOUD EXTRA. 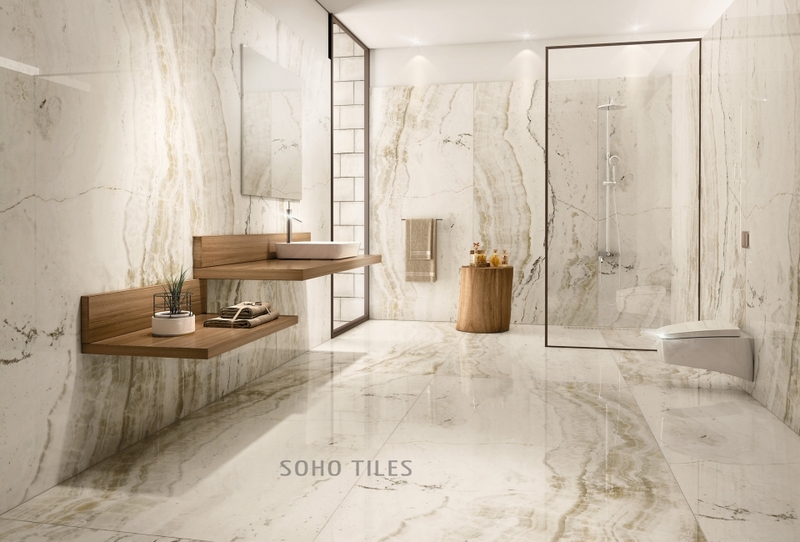 White Onyx Porcelain large format 24"x48" (60cmx120cm) Polished Tile and, 48”x96” (4’x8’) (120cmx240cm) Polished Slab finish will bring sophisticated look and luxury to any environment without complications of it’s natural version.